After a bit of a break, we’ll be returning to Dommune next week for our first party for 2015. 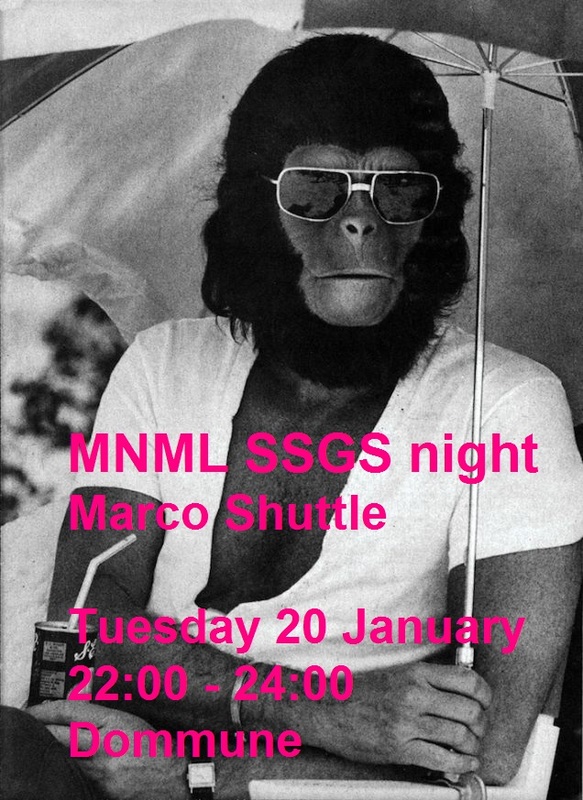 Fortunately for us, Marco Shuttle will be visiting Tokyo briefly, and he’s managed to find time to squeeze in doing a DJ set for us. He’ll be playing from 10pm – midnight next Tuesday 20 January. Marco is coming off a very successful 2014, with the release of his debut album on his own Eerie label following on from the very well received “Sing Like a Bird” EP on Time to Express. This will be his only show in Japan, so make sure to come down to the Dommune studio or tune in. Registration will be open from Saturday or Sunday, keep an eye on the Dommune and MNML SSGS twitter accounts for the link.